To preserve and rekindle a piece of Central District history, or prepare for the current and future needs of residents in a increasingly expensive neighborhood. That’s the debate at the heart of a bid to preserve the former, and now empty, Liberty Bank building at 24th and Union. Longtime Central District/Africatown activist Omari Garrett filed the preservation petition. For Garrett, the fight to save the bank runs deeper than just preserving a building. A year ago, Capitol Hill Housing announced it had tentatively agreed to purchase the building owned by KeyBank. CHH is now under contract to purchase the building. CHH spokesperson Michael Seiwerath said CHH recognized the historical significance of the building, but did not think it was architecturally significant. “That neighborhood is becoming increasingly expensive, and the amount of affordable housing is very limited, so we think it’s important to provide affordable housing to a rapidly gentrifying neighborhood,” he said. If the building is preserved, Seiwerath told CHS that CHH would not be able to develop the site. Seiwerath said CHH had no firm building plans for the site, but that they were interested in building a mixed-use affordable housing development with ground-level commercial space facing Union. He also said any development would likely reach the 40-foot hight zoning limit. Garrett said he’s working with interested parties to reopen a new African-American owned bank in that location. For Garrett, preserving the bank is also about righting a past wrong. Garrett’s father, Holbrook Lawrence Garrett, was a founding member of Liberty when it opened in 1968. The bank held a good track record for two decades before it’s tumultuous final years under Liberty’s last president and CEO Thomas Wood. According to details laid out in a 1991 federal lawsuit, one of Wood’s top priorities coming into office in 1984 was to open a second Liberty branch downtown, which required federal approval. In 1985 federal bank examiners noted Liberty was not fiscally sound, which sparked a series of investigations into the bank by federal and state regulators. Thomas Oldfield, then the state’s Supervisor of Banking, testified that he had become increasingly worried the bank might fail. After a bitter fight between Oldfield and Wood, federal regulators closed Liberty in 1988 and quickly reorganized it into another minority-owned bank called Emerald City Bank. According to Garrett the forced closure of the bank amounted to theft from Wood and the Africatown community. It wasn’t long before Emerald City ran into its own problems. In 1993 KeyBank took over after Emerald City was auctioned off by regulators. KeyBank operated its Central District branch from the site until September 2013 when it consolidated with the Capitol Hill branch. The former Liberty building has since remained empty. As a concept, past and present, this institution is a promise for generations in the midst of social anxiety over large bank dominance without social justice or parity. 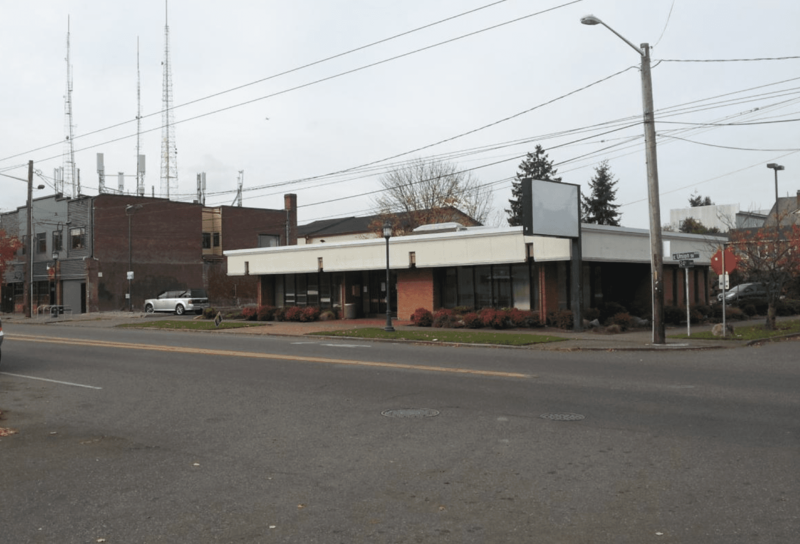 The location of the bank is geographically and historically a center of the Central District’s African American business district. The Bank had a very positive effect on the immediate community. 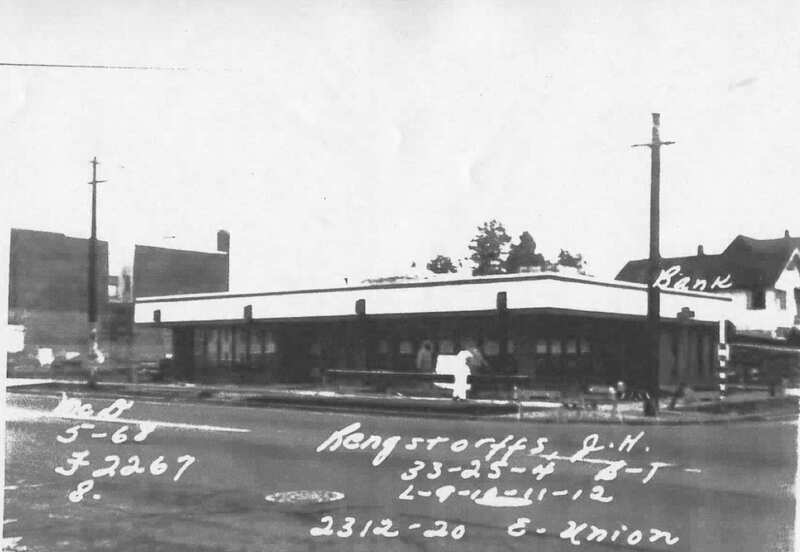 Not only was it an aesthetically pleasing structure in the immediate neighborhood, prosperous businesses and increased home ownership became immediately evident. For example, construction projects that expanded the black entrepreneurial class in the Central District were largely funded through Liberty, to entities such as Central Contractors Association, which built many new homes and businesses in the area. Liberty Bank was founded by James Purnell, who passed away in 2005 at the age of 84. Purnell was once president of the National Bankers Association and was an influential advocate for fairer banking services to minorities. The building’s architect, Mel Streeter, was a well respected architect in Seattle and among the most prominent African-American architects in city’s history. His work can be seen at the African American Academy and John Muir Elementary School, among other places. UPDATE: With the Seahawks parade, we’d advise emailing comments to Erin.Doherty@seattle.gov. Wednesday, February 5 at 3:30 p.m.
Seattle Municipal Tower, 700 5th Avenue, 17th Floor in Room 1756. The public is invited to attend the meeting and make comments. This entry was posted in News, etc. and tagged affordability, central district, development, history, landmarks by Bryan Cohen. Bookmark the permalink.